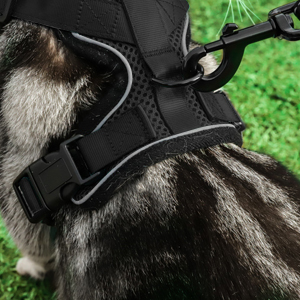 Rabbitgoo Adjustable Harness for Small Cats Dogs - Designed for Your Pet, and You. 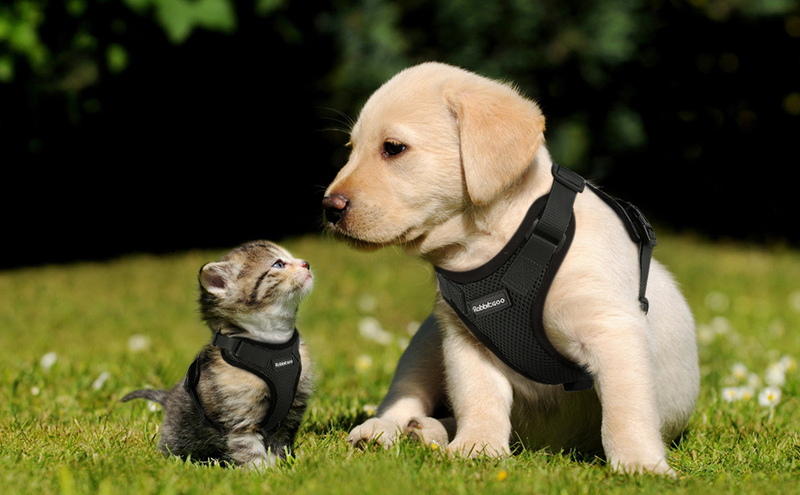 Looking for a good harness for your small cat, dog, or rabbit? You just found one! The materials that we used to craft our harness are all of premium quality, so your pet will wear it like a champ. All of the features are thoughtfully designed for a secured and comfortable wearing experience. Day and night, with Rabbitgoo Safety Vest Harness, your outdoor adventure with your furry friend becomes a pure fun. Note: Please measure your pet carefully before selecting the size. Refer to the 3rd image for the detailed size chart. Let us know if you need assistance in finding the right size. More Than A Simple Vest. Attach a leash to the sturdy metal D-ring so that your daily walking with your pet is better secured. Ideal for casual walking, jogging, training, hiking, and so on. 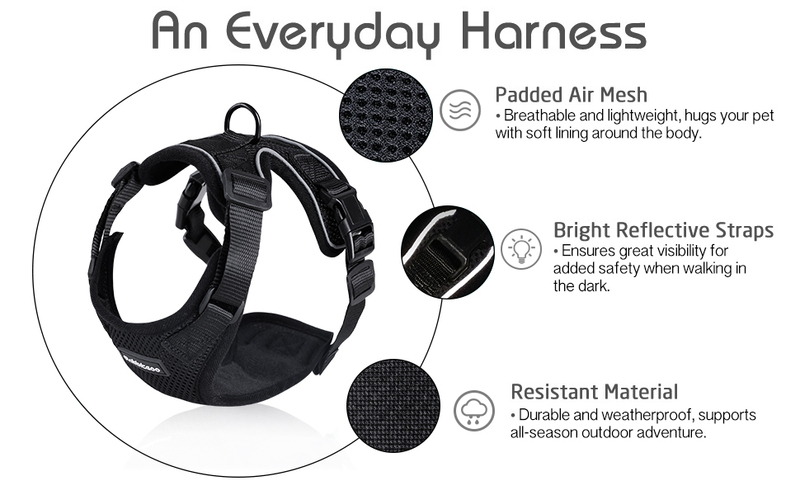 Each harness features 2 neck straps and 2 chest straps which can all be freely adjusted. 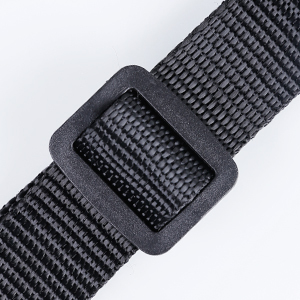 You can slide the adjuster and pull or push the straps to create your pet a perfect fit. 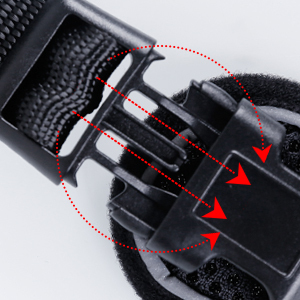 Unbuckle the chest straps and loosen the neck straps. 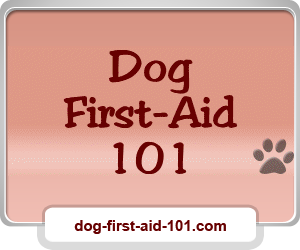 Keep the D-ring and the Logo facing up on the back, and slide your dog’s head through the neck opening. Being outdoor with your pet is one huge part of being a pet parent. What better way to promote the relationship between you and your dog or cat than to take a nice walking in the open air? 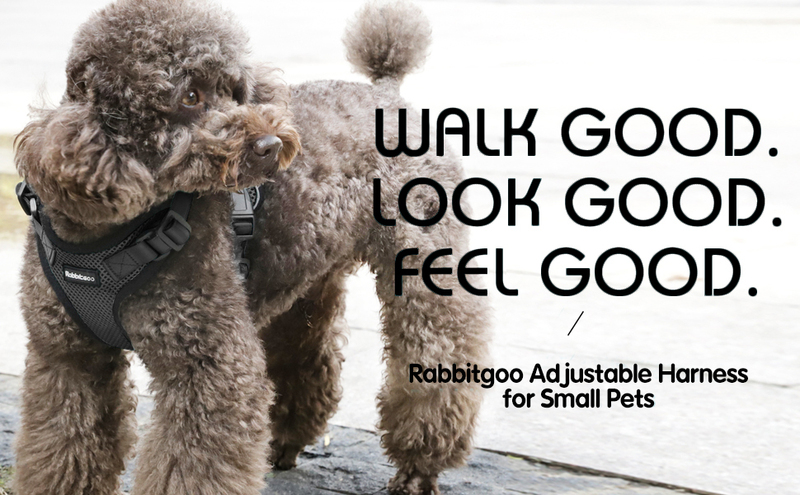 Having this in mind, we at Rabbitgoo are working hard to make sure that you can play with your small pet both safer and more enjoyable.